The 2010 National League Championship has some compelling story lines. The Philadelphia Phillies seek to be the first team in 66 years to win three consecutive NL Championships. They also look to move one step closer to staking their place amongst baseball's greatest teams. While Philly concentrates on continuing its current era's success, the San Francisco Giants are looking to bring the Bay City it's first World Series Championship. Since each team clinched early in the week, most of the talk has centered on the series marquee match-up of starting pitchers— and for good reason. Each club sports a "Big Three" unrivaled by any other teams in baseball. Tomorrow night's opening game pitching match-up is being billed as the best ever in NLCS history— and for good reason. Besides a dramatic contrast in style, "Doc" versus "The Freak" should provide tremendous theatre to kick-off the NLCS. Surely these two pitchers and their starting staff cohorts will play a key role in the series, but the outcome will be influenced by many other key factors. How will the closers perform? The closers on these two teams followed divergent paths over the first half of the 2010 season. Giants closer, Brian Wilson was the model of consistency, earning his second All-Star berth in three years. Meanwhile, Brad Lidge continued to be an adventure from game to game. After the break, however, both pitchers experienced some turbulence at the end of July that raised some concerns. Each pitcher also responded very favorably, offering his best work over the balance of the season. The free-spirited Wilson went on to record 18 saves with a 0.95 ERA. He finished the year with a Major League leading 48 saves. In Philly, the straight-shooting Lidge erased the question marks by converting 17 of 18 save opportunities and recording a minuscule 0.73 ERA. He was shutdown a couple times during the year due to a balky knee and elbow, but finished the season with 27 saves and a respectable 2.96 ERA. Wilson throws harder and has displayed better command over the past couple of seasons. Conversely, Lidge's velocity is down a few mph and he can struggle to throw strikes. Although both pitchers had highly similar resumes down the stretch, Wilson seems to be a surer bet. In order for the Phillies to win, they will need Lidge to perform similarly to Wilson as he did in the stretch run. Manufacturing runs and capitalizing with runners in scoring position. The Giants formula for success has been to scratch out enough runs to make their Major League leading pitching stand-up. In contrast, the Phillies feature a highly balanced team that combines strong pitching and offense. While they have improved from a year ago, San Francisco still only ranked ninth in scoring in the National League in 2010. The team's lineup has had a substantial makeover in the past 15 months which took them from playoff contender to World Series contender. Considering the Giants highly formidable pitching staff, taking advantage of scoring opportunities and playing "small ball" will surely be important to the Phillies in this series— but it will be absolutely critical to San Francisco. Philadelphia possesses greater quick strike potential with its potent, American League style lineup. Additionally, the Phillies have much better team speed. In order to have a chance to win, the Giants will need to move runners around the bases and push them across the plate with high proficiency. Failure to do so, could make for a quick exit. One of the elements that makes Philadelphia so dangerous and the odds-on favorite this postseason is its tremendous balance and versatility. They possess the rare ability to beat teams with almost any style of play. Considering that the Giants play in spacious AT&T Park, which can be particularly unfriendly to left-handed power hitters, the Phillies home run threat will be somewhat neutralized on the road. The stadium's angles and deep right-center alley, however, are very conducive to stretching doubles into triples and taking extra bases in general. 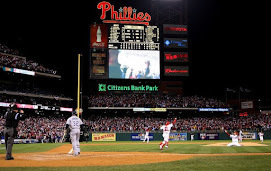 The Phillies can compensate for the potential loss of Ryan Howard, Chase Utley, and Raul Ibanez big flies with the power alley strokes and base running of Shane Victorino, Jayson Werth, and Jimmy Rollins. Normally, J Roll would be well suited to exploit the AT&T Park configuration, but the lingering impact of his late-season hamstring injury has limited his explosiveness on the base paths. Strong pitching and tight games might require him to open things up a bit rather than continue with the conservative gait that he has displayed since returning to the field. In order to be successful on the road, it will likely require Victorino, Werth, and perhaps Rollins flying around the base paths. If the Flyin' Hawaiian is doing his thing in San Francisco, it might make the difference between winning and losing. It has been awhile since the Giants have participated in MLB's fall tourney— 2003 to be exact. Accordingly, the roster is a complete makeover from that squad built around the video game-esque hitting exploits of Barry Bonds. San Francisco handled the added pressure of the playoffs well in its first round series against the Atlanta Braves. In fact, the team's hurlers were downright phenomenal, posting a 1.66 ERA in the NLDS. The stage gets a little bigger and the spotlight a little brighter, though, in the NLCS. Save a Pat Burrell or Juan Aribe, this a new experience to most of the players on the Giants roster. Conversely, the Phillies are looking to parlay their third consecutive trip to the NLCS into a third straight World Series appearance. One of the Giants best hitters this season has been rookie Buster Posey, and their stellar starting rotation is extremely young. It remains to be seen how these young players will react to swimming in uncharted waters. Having "been there and done that" provides a definite edge to the team in red, but surely many upstart teams have successfully navigated their way to the "Fall Classic" throughout baseball's history. Aces Wild— which team will have the trump card? Roy Halladay,Tim Lincecum. Roy Oswalt, Jonathan Sanchez. Cole Hamels, Matt Cain. The 2010 NLCS features some of baseball's best postseason pitching match-ups in a long time. The opening game pits one hurler coming off a dominant performance that had hitters struggling to simply make contact— against another who was literally un-hittable. "The Freak" versus "Doc." Two-time-defending Cy Young winner Lincecum whiffed 14 Braves batters in his NLDS start after going 16-10 in the regular season and once again leading the National League in K's. Halladay is likely to dethrone his opponent with his 21-10, 2.44 ERA regular season resume and, of course, tossed MLB's second postseason no-hitter. When games pit ace against ace, the difference between winning and losing can be reduced to the little things. A couple free passes, a bloop hit, or just one bad pitch that lands in the seats can spell defeat. With aces abounding, dueling head-to-head— who can come up just a little bit better? Who can reach back a little bit more in a pressure situation? Who will prevail mano-a-mano? Can Giants lefties shutdown Philadelphia's left-handed boppers? Conventional wisdom over the past few seasons has been for clubs to stack-up left-handed pitchers against the Phillies left leaning line-up. Besides All-Star pitchers Lincecum and Cain, the Giants plan to send a pair of talented, young left-handers out to the mound. Jonathan Sanchez gets the ball in Game 2 after compiling a breakthrough season in 2010. The side-arming lefty posted a 13-9 mark and a 3.07 ERA, while striking out more than one batter per inning. In Game 4, Madison Bumgarner gets the call after a strong rookie campaign. The 21-year old hurler posted a stingy 3.00 ERA in the regular season and the NLDS. Surprisingly, the Phillies broke from past tradition and actually hit better this season against southpaws. A big part of the improvement came from the club's lefty power hitters— Howard, Utley, and Ibanez. Consider the splits. The trio batted .274 versus left-handers, just two points lower than their mark against righties. And, the trio's one home run per 27.8 AB ratio against right-handers jumped to one per 19.5 AB against lefties. The numbers suggest that this tactic will provide a lesser advantage than previous seasons. Now it's a matter of seeing how it plays out on the field. Which Pablo Sandoval will show up? At the end of last season, the Giants appeared to have found a new star in Pablo Sandoval. In his first season and a quarter in the "Bigs", the burly third baseman posted a .333 batting average with 28 home runs and 114 RBI. A new hero was born in San Francisco in the form of the "Kung Fu Panda." Despite a very round physique, Sandoval could flat out hit. After a fast start, the Panda fell on hard times. He slumped badly for three months in the middle of the season, seemed to get straightened out, and then tanked down the stretch. Last year's most feared hitter became this year's reserve in the postseason. Sandoval played just two of the four NLDS games, scratching out a .167 batting average with zero run production. If Sandoval can somehow find his swing, he could provide a tremendous boost to the Giants sluggish offense in the NLCS. With strong pitching on both sides, the less noticed aspects of the game often push to the forefront. Team speed could play a substantial role in this series. The Giants have perhaps the slowest team in all of baseball. They finished dead last with 55 stolen bases and a 63 percent success rate. At the opposite end of the spectrum were the Phillies. Despite an array of injuries that suppressed their totals this season, they still finished fourth in the NL in stolen bases. And, importantly, they continued with their remarkable success rate, posting a Major League leading 84 percent mark. Of course, the impact of team speed goes beyond merely swiping bags. It plays out in fielding range, taking extra bases, and putting pressure on the opponents pitchers and defense. San Francisco has but one running threat in Andres Torres and is pretty much reduced to moving station-to-station around the diamond. Meanwhile, the presence of Victorino and Rollins on the base paths has been very disruptive over the past few seasons. Additionally, Werth and Utley are accomplished base stealers and among the league's best in getting around the base paths. Rollins' tenuous hamstring will likely continue to limit his base running in the NLCS. This may be a but self induced to avoid risking a relapse, but if the series or a game is on the line, we may just see J Roll throw caution to the wind. The 2010 numbers belie the true differential. Despite hitting just four more home runs in the regular season, the Phillies lineup possess a large power advantage over that of the Giants. The simple reason why the final totals were so deceivingly close can be found on the Phillies Disabled List transactions. The club's 2010 campaign was hampered by a multitude of injuries that sidelined and limited the output of six of its eight regulars. Philadelphia hit just 166 home runs in 2010— a huge drop from its league leading 224 total a year earlier. When the Phillies regular starting lineup finally started to get back together down the stretch, the power output started to return to normal. With the lineup now intact for the postseason, the thunder should sound a lot more like 2009 than this injury riddled year. Utley, Werth, Ibanez and Rollins have all hit 30 home runs in a season. And, then there is Howard, who averaged 49 over the previous four seasons. After just Utley's home run in the NLDS, could some "Big Flies" be overdue? Both clubs advanced to the NLCS with a little bit of help from their first round opponents. The Braves and Reds were quite magnanimous in gifting runs. Atlanta committed seven errors that provided three runs in a very tight, low scoring four-game series. Cincinnati took that to another level by booting seven balls in just three games, which led to six unearned runs. The Giants and Phillies ranked third and fourth in National League fielding, respectively. While San Francisco was more sure handed, committing ten errors less, the Phillies made more plays. 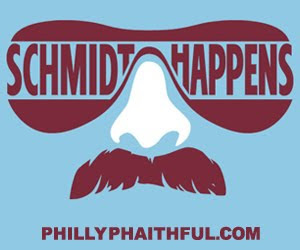 Philadelphia had almost 200 more total chances over the course of the season. Additionally, they turned almost 42 percent more double plays. A key differentiator could be out field defense. The slow-footed Giants struggle to track balls down, while Victorino and Werth cover a wide territory with great athleticism. Victorino's terrific running stab of a Brandon Phillips drive to deep center might have provided the difference in the Phillies Game 3 clinching win. Those types of plays have come to be expected in Philly, but tend not to be common place in the Bay City. The hype about starting pitching is anything but. There is no reason to believe that these talented hurlers will not continue at a high level. The differential, though, could be that the task got easier for Phillies pitchers— while the task for the Giants staff got much tougher. The Reds brought an offense to the NLDS that won the "team triple crown" by leading the National League in HRs, RBI, and batting average during the regular season. Conversely, the Giants ranked ninth in scoring. The acquisition of players during the season, however, has improved their lineup and depth, so they are better positioned to compete than what might be suggested by the numbers. On the flip side, the Atlanta Braves limped into the postseason. Two of it's top hitters in Martin Prado and Chipper Jones were sidelined by injury— and their offense overall struggled mightily down the stretch. The Giants improved lineup and Major League leading pitching staff make them a formidable foe for anyone. They should be able to stay in most every game and will demonstrate the fighting spirt that brought them this far. Ultimately, though, the Phillies have the starting pitching to match— or top them. They also have a marvelously balanced, experienced, and multi-talented team that will prove to be too much for the Giants.